The number of women and minorities stepping into law dean roles this summer is on track to outpace the number of white men taking on those top administrative positions. The wave of minority women taking the helm at law schools is gaining momentum. Two law schools in the past week have named black women as dean. Stetson University College of Law has tapped Michele Alexandre to be its next top administrator—the first African-American to fill that role. On Wednesday, the University of Cincinnati announced that Verna Williams was being elevated from interim dean to full dean. She, too, will be the school’s first black dean. Those appointments add to what is already shaping up to be a diverse crop of incoming deans. At Stanford Law School, longtime professor Jenny Martinez, who is Hispanic, will assume the deanship in April. 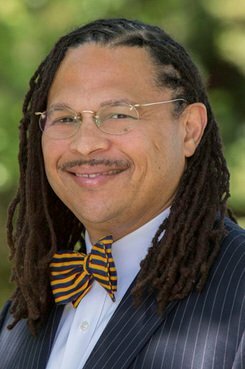 And G. Marcus Cole, who is black, is slated to become the first nonwhite dean of the Notre Dame University Law School this summer. In January, Rutgers Law School named faculty member Kimberly Mutcherson as its new co-dean, while the University of the District of Columbia David A. Clarke School of Law tapped Renée McDonald Hutchins to take over the deanship next month. Both women are African-American. Danielle Conway, the first black dean at the University of Maine School of Law, this summer is moving south to take the top spot at Pennsylvania State University’s Dickinson Law. Meanwhile, Tamara Lawson became the first minority woman to lead St. Thomas University School of Law when she was elevated to dean in November. Observers within the legal academy say that targeted mentorship, an increase in minority law professors throughout the academy and events such as this week’s Fourth National People of Color Legal Scholarship Conference are filling the pipeline of diverse candidates for leadership positions. Simply seeing more women and minorities in those roles is inspiring diverse academics to follow in their footsteps and position themselves for dean roles, they add. The number of women and minorities announced as new deans this semester has thus far outnumbered white men named to those jobs. Among the incoming deans who are white males are Michael McGinniss at the University of North Dakota School of Law; Neil Fulton at the University of South Dakota School of Law; Michael Cahill at Brooklyn Law School; and Mark Martin, who became dean of Regent University School of Law earlier this month. Alexandre comes to Stetson from the University of Mississippi School of Law, where she has taught since 2008. She is an expert civil rights and has written a textbook on the topic. 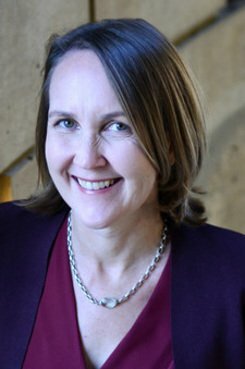 “I am confident Verna’s strong leadership and progressive vision for the college coupled with her legal practice in both the public and private sectors will continue to propel the College of Law forward as we create our Next-minded future,” said Cincinnati Provost Kristi Nelson in an announcement of Williams’ appointment. While law firms came out on top, the number of them receiving perfect scores from the Human Rights Campaign dropped this year after a change in criteria. Here's a look back at notable lawyers who, like Kim Kardashian is planning to do, skipped law school on the way to joining the bar.